Breakfast was super filling thanks to a lot of different food groups being represented. I’m loving all the color! 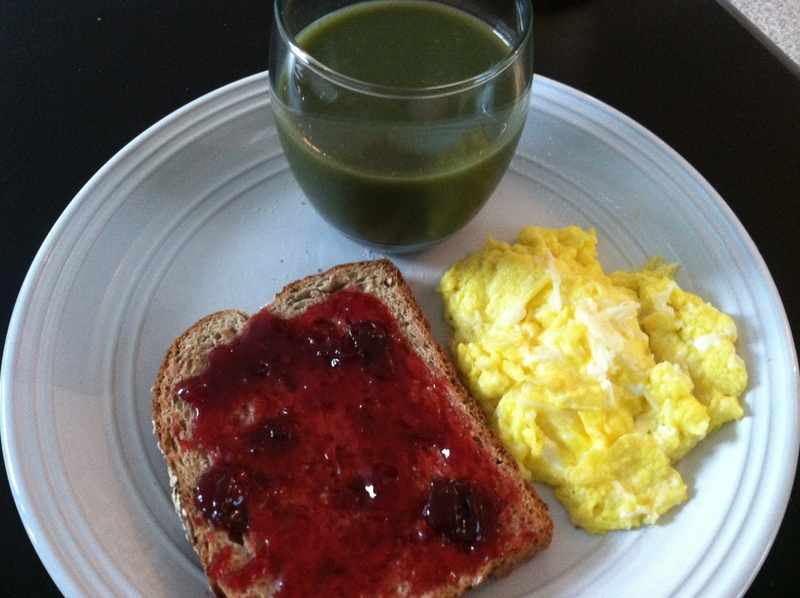 Whole wheat toast with raspberry jam, scrambled eggs with Parmesan cheese, and a glass of green juice. I have a big project due tomorrow at work so I’ve been chipping away at that all week. It’s made for a lot of sit-at-the-computer-and-go-into-zombie mode. Definitely not my favorite way to live. If I could never stop moving and going places, that’d be my dream! This breakfast was eaten pretty early after a workout, so I was hungry mid-morning. I had this snack around 11 and it hit the spot. It’s been one of my favorites lately! 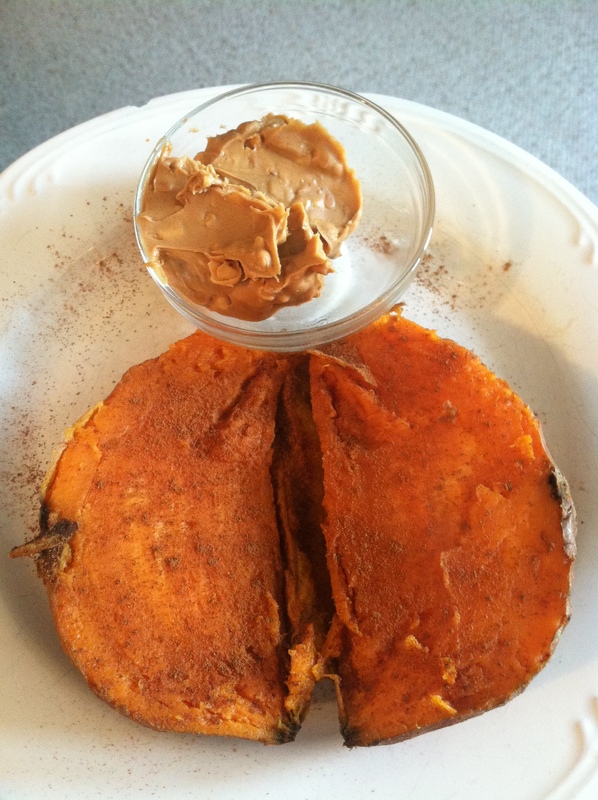 A sweet potato with cinnamon and peanut butter. This is a great snack because It keeps me full for so long. Around 1:30 I started getting hungry for lunch. I was still swamped with work so I didn’t want to take time to prepare something fancy. You know what that means! Dig through the freezer and see what I can throw in the oven. The result? After work I plopped on the couch for some Keeping Up With the Kardashians action. There is nothing better than letting your brain rest by watching that irresistable nonsense. I was a communication major in college and I remember in one of my media classes we learned that often times people will choose media to find an equilibrium for how they spent their day. In other words, accountants might watch ultimate fighting (intensity) while chemical engineers might watch the weather channel (relaxing). Make sense? I always thought that was a cool theory! 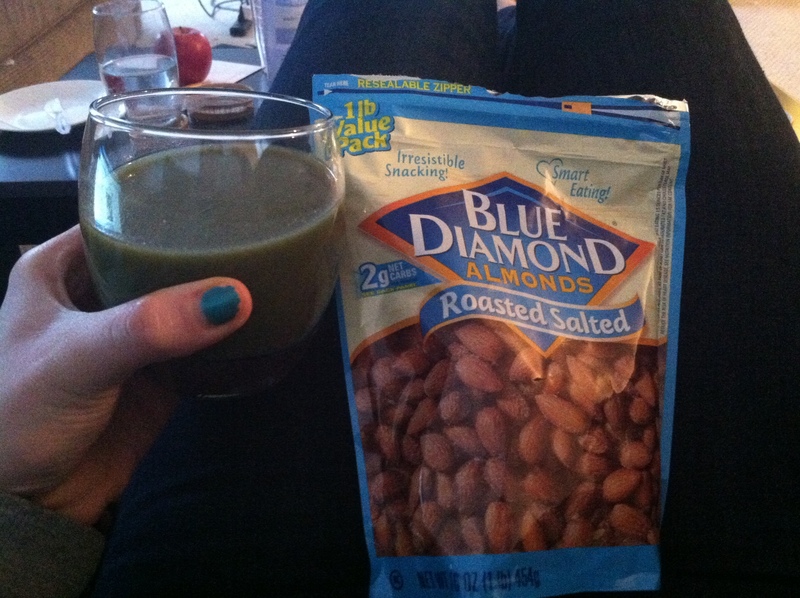 I snacked on salted almonds and more green juice while watching KUWTK. It was so relaxing. 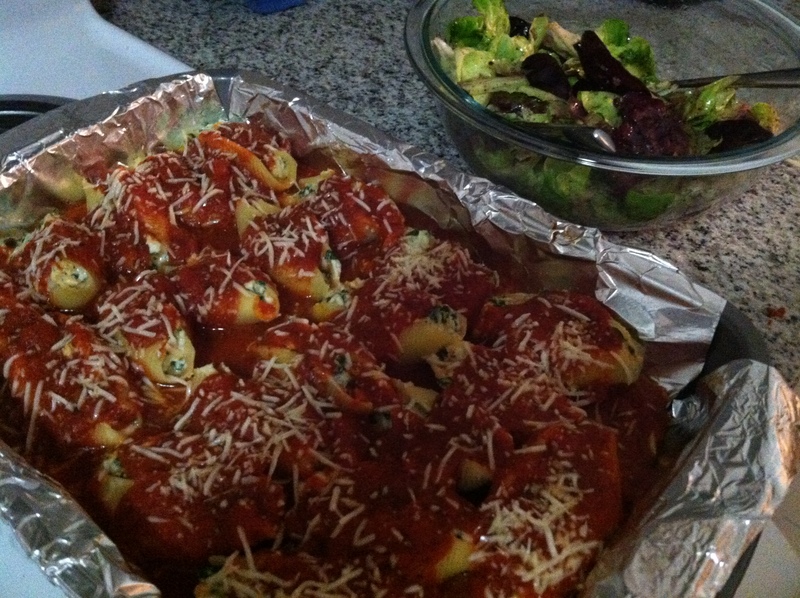 I met Zman at the store after he got off work and we picked up the ingredients to make stuffed shells for dinner. This is one of my favorite recipes so I’m not sure why I don’t make it more often! 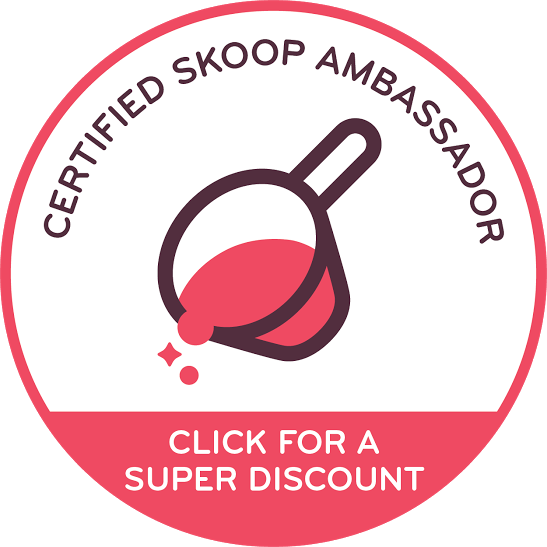 It’s really easy, extremely cheap, and delicious. 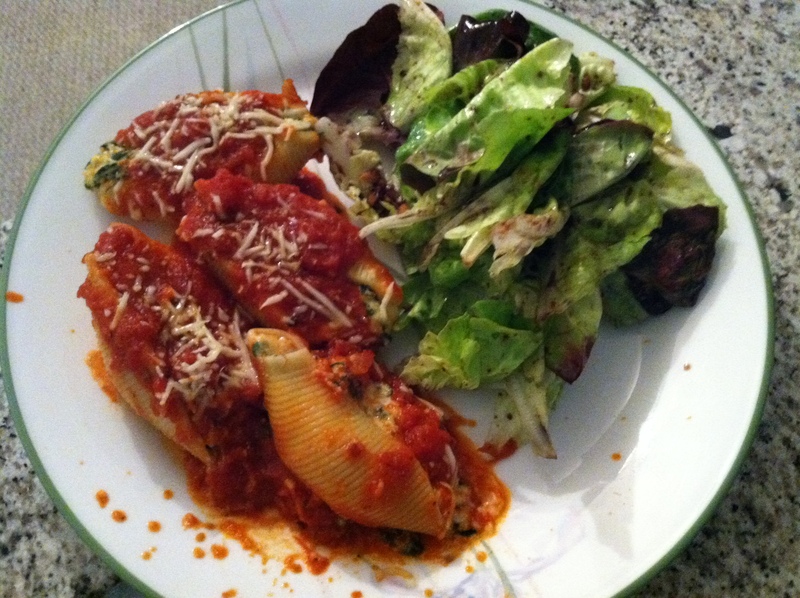 Shells stuffed with ricotta, Parmesan, mozzarella, spinach, and covered in sauce. Baked in the oven for 30 minutes or so. We ate this along with a salad with a homemade dressing (olive oil/balsamic/crushed garlic). I ate this plate plus a two more shells. Then I ate a few Pillsbury chocolate chip cookies because they were there (it’s so so so hard to turn down cookies!). I was absolutely stuffed. We ended the night by watching New Girl and The Mindy Project, and finally some Modern Family (thank you, USA, for always having this show on). 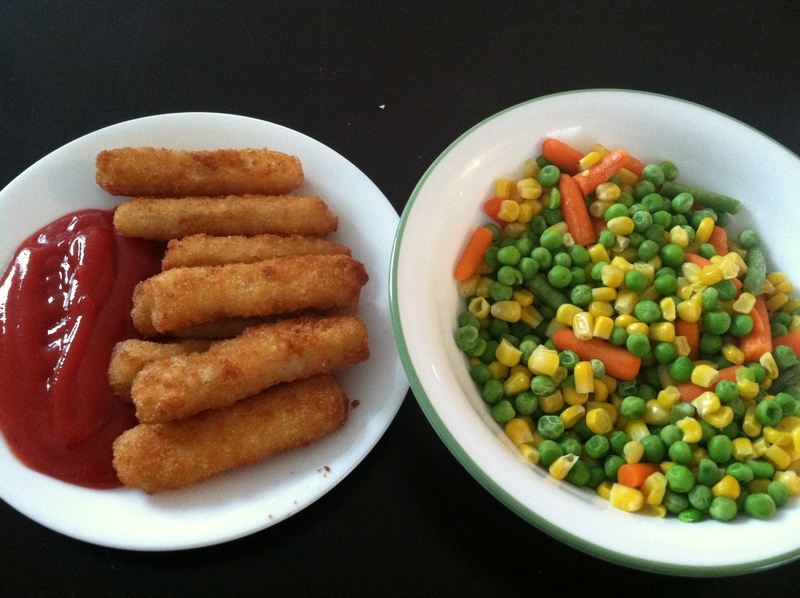 It was a cold and rainy night so it felt good to eat some comfort food and watch funny TV. 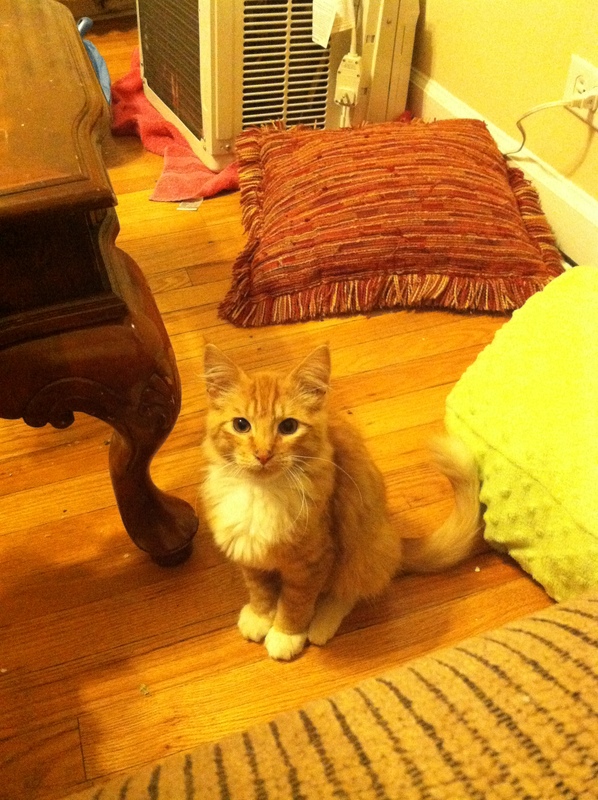 Oh and I just had to share one more picture of Megan and Christina’s foster kitten, Samson! I went to visit them on Monday and he is the the cutest thing. He’s like a little lion 🙂 He just sits and waits for you to settle down then he hops up and snuggles up on your lap. I loveeee this cat. 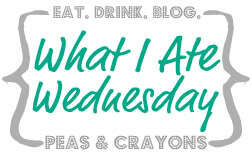 Do you eat a lot differently during the week than on the weekend? 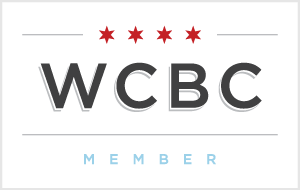 What’s one food you deem “weekend worthy” but don’t often think of having during the week? ummmmm chocolate covered sea salt almonds while watching KUWTK…do you think there’s something about the kardashians that makes me want to snack endlessly? I’m rolling with it.